In honor of Black History Month, we're spotlighting three graduates from the Johnson & Johnson-sponsored program—up-and-coming scientists of all stripes who are influencing innovation across industries. oday, there’s no doubt that encouraging students from all backgrounds and genders to pursue careers in STEM—that’s science, technology, engineering and math—helps foster the kind of innovative healthcare solutions that can extend and improve patients’ lives. Yet, according to the latest numbers from the National Science Foundation, women and minorities continue to be severely underrepresented in science and engineering jobs. The Scientist Mentoring & Diversity Program (SMDP) is trying to even that balance. The one-year mentoring program, which Johnson & Johnson has sponsored for over a decade, pairs ethnically diverse students interested in STEM with mentors from the medical technology, biotechnology and consumer healthcare industries. Over the past 10 years, the company has mentored over 50 post-baccalaureate, graduate and Ph.D. students and postdoctoral researchers—and even employed 16 of them. In honor of Black History Month, we caught up with three up-and-coming scientists to learn about the potentially life-improving work they’re doing for Johnson & Johnson, and the crucial role the SMDP has played in their achievements. 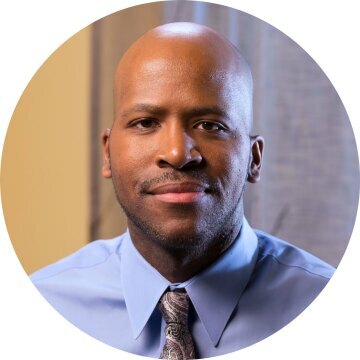 In 2008, while earning his Ph.D. at the University of Medicine and Dentistry of New Jersey, Homer Adams III’s lab mates told him about a program for students like him called the SMDP. He thought it sounded like a great way to further his career ... one day. “I was a graduate student at the time, and my targeted career path was not quite mature yet," he recalls. By 2012, though, as a postdoctoral fellow at The Lester and Sue Smith Breast Center at Baylor College of Medicine researching cancer biomarkers, he knew he was ready. In 2014, upon completing his fellowship, Adams was hired full time by Janssen Research & Development, where he’s now a lead scientist for global clinical trials in oncology. 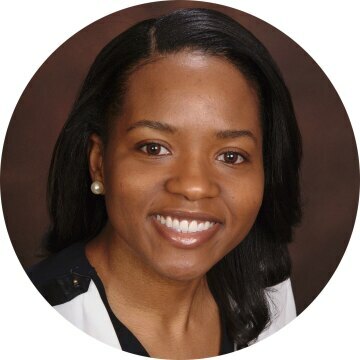 As an undergrad receiving her bachelor’s degree in chemistry at Norfolk State University in 2005, Sherket Peterson knew she was passionate about science, but she wasn’t sure whether she wanted to pursue an M.D. or a Ph.D.
After receiving her Ph.D. in pharmaceutical sciences from The University of North Carolina at Chapel Hill Eshelman School of Pharmacy, Peterson continued her research as a postdoctoral fellow at Johns Hopkins University School of Medicine, convinced that she wanted to pursue a career in academia. At least, she thought she was sure. By chance, she was invited to a two-day SMDP open house, where she got the opportunity to present her research on a molecular mechanism that could aid the development of therapeutics to combat the long-term complications of diabetes to both Janssen Pharmaceuticals and Johnson & Johnson Consumer Products Worldwide. A month later, she received job offers from both divisions—and accepted a position with the latter. 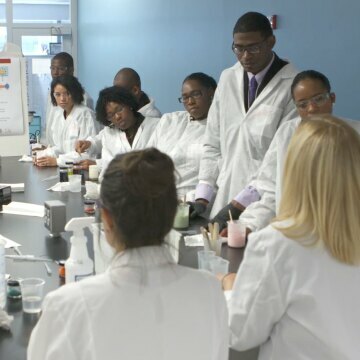 SMDP and Johnson & Johnson are creating a talent pipeline for generations. You have a built-in network and a built-in family here. 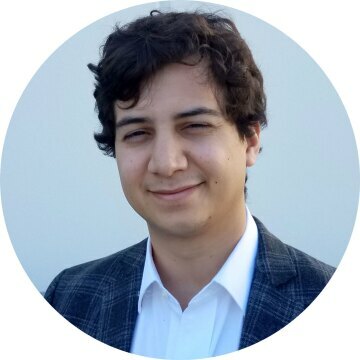 It was early on in his scholastic career, as an undergraduate at The Fu Foundation School of Engineering and Applied Science at Columbia University, that Daniel Campo realized just how much he loved biomedical engineering. “I like the process of designing a ‘thing’ that solves a medically-related problem,” he says. With his undergrad degree completed, he enrolled in the Fung Institute Master of Engineering program at UC Berkeley’s College of Engineering. He spotted a post about SMDP on the school’s Facebook page, applied—and was accepted. Afterwards, Campo was offered a rotation within the West Coast Development Program, a Johnson & Johnson initiative that focuses on medical device innovation. The program gives recent graduates the opportunity to rotate among five different businesses over the course of two years. Campo and his SMDP mentor meet regularly, and Campo serves as an ambassador of sorts to UC Berkeley. Once he finishes his rotation at Johnson & Johnson, he has the opportunity to be placed with one of the five companies within his program.